Last year at Winterclash we met Erik Droogh, and he definitely wanted to know why we hadn’t been to his Skateland Rotterdam session that’s held the week before Winterclash. Well, we didn’t really have a good answer, but did vow to return next year and check it out. That… sort of happened. Regardless of the specifics of our 2019 Pre Session coverage, Steve Steinmetz asked Erik some questions, and we snagged a couple pics from the session and an edit by Jeff Hofstede. So check it all out here, and be sure to put this session on your calendar for next year! Hey, Erik! 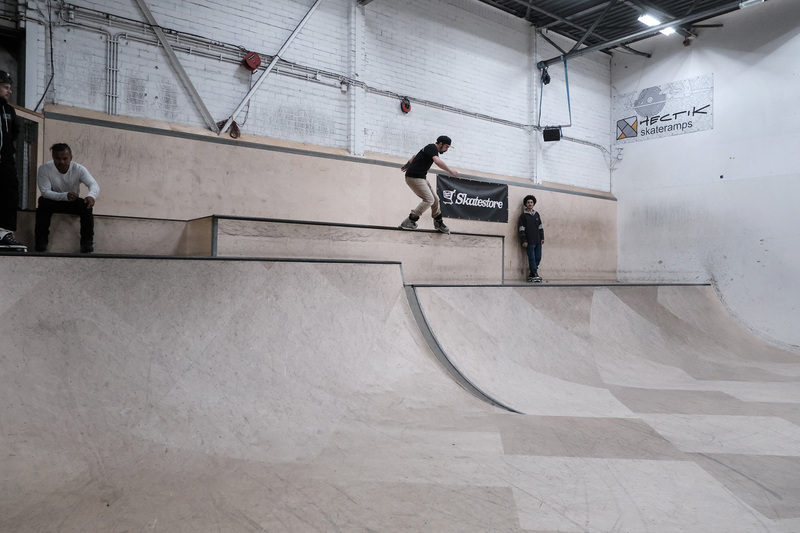 I messed up by not going to the Preclash event at Skateland Rotterdam skatepark! It looked like a great event and I wish I had stayed closer so I could have gone to the park again. What gave you the idea to do an event at Rotterdam right before Winterclash? Hi Steve, too bad you missed it! It was a great session with good vibes! The idea started five years ago, in 2015, when some people asked me if there was anything to do before the Clash. Previously the Belgium scene put on a pre-session, but in 2015, with two weeks before Winterclash, nothing had been announced. So I decided to organize a last minute Pre Session at Skateland Rotterdam to bring everybody together. Because of the good response I decided to do it again the year after. Now in2019 it was the fifth edition! Was the Pre Clash a competition similar to Winterclash or more of a session with prizes for the best participants? The Pre-Clash is a session to bring people together! Not a competition! But I do have prizes to give away throughout the event. Tell us how you got support in creating this event and who helped you along the way? I do most of the preparation by myself. But the biggest supported is Skateland! Nowadays they provide a budget so I can figure out the best way to make it all work. In 2017, a few friends helped me build the blue subbox. (Albert S. & Calvin van vliet) And it’s been there ever since. Was Facebook the main source you used to promote the event? Yeah, every year I make a event page on FB and that’s were all info can be found. But also on Instagram I share the flyer. 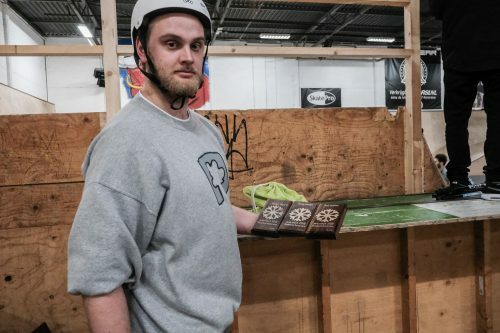 What was the most memorable trick of the day and why? I guess the trick everybody will remember from that day as when Toms Krasovskis missed his AO Fish on the rail. Out of everyone who participated, which professional were you most excited to see at the event? There were a lot of pros this year that joined the session. but I liked to see that Jon Fromm, who was there for the first time, had a great session with Montre Livingston on the down ledges. Who would you like to thank for making the event possible? Me, myself and the sponsors that supported me during the last five years. Do you feel that sessions like Pre Clash benefit younger participants to get excited about blading and to experience something new? Sessions like this bring varying ages and skill levels together. So it’s a great way to motivate each ohter and learn! Are you going to have the session again next year? For sure! I will be doing this as long Winterclash is at Area 51 Skatepark, so look for the Pre Clash at Skateland Rotterdam on the preceding Wednesday. For everybody that is coming next year… make sure to book a hotel in Rotterdam on Wednesday night!